Harambee Stars began their 2018 Intercontinental Cup quest with a 2-1 win over New Zealand in the first Group Stage match played at Mumbai Football Arena Stadium on Saturday 2nd June, 2018. New Zealand were the first to find the net though Sarpreet Singh who connected to Alex Rufer’s cross before unleashing his shot past keeper Matasi in the 42nd minute. Clifton Miheso replied for Kenya in the last kick of the first half with a well executed freekick to send the teams for the breather tied 1-1. The second goal was a Kariobangi Sharks affair as Patilah Omoto provided the assist for Ovella Ochieng to finish in the 68th minute. The win sends Kenya second in the Group with 3 points, same as India who beat Chinese Taipei 5-0 in the first match. Hosts India are using the tournament to prepare for 2019 AFC Asian Cup while Kenya is building up for a 2019 Africa Cup of Nations Cup qualifier against Ghana set for September. 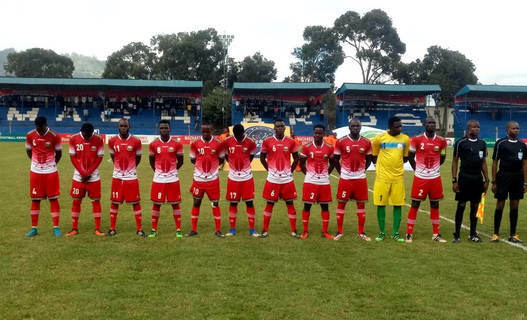 Kenya got the invite as a replacement for South Africa after the South African Football Federation (SAFF) expressed its inability to participate in the four-nation tournament.